Some classic (is there any other kind?) 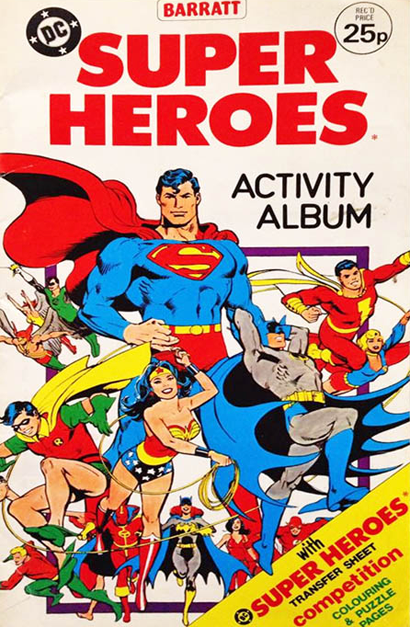 Jose Luis Garcia Lopez stock art adorns the cover to this UK activity book from Barratt. I don't like Aquaman being so small, but it's okay when the group shot of heroes is this gorgeous. Check out all the oodles of great stuff inside the Wonder Woman Collectors site!